My name is Yunjeong (you can also call me Yun) born and raised in South Korea. As the ambassador of Food Technology and Nutrition, I will share my life in Lund for coming academic year. I am happy to be an ambassador and give you a glance what a Lund university student life is like. Currently, I am in Seoul, South Korea having great but the hottest summer break ever. Spending time with my family and friends and having Korean foods are the best ways to spend summer time. However, for successful and organized academic year, it is time to prepare for it. So I thought why not to share how I plan next school year. To be ready for the courses I chose, I throughly read the syllabuses of the courses in advance. You can find general information, assignments, and grading scale of courses. 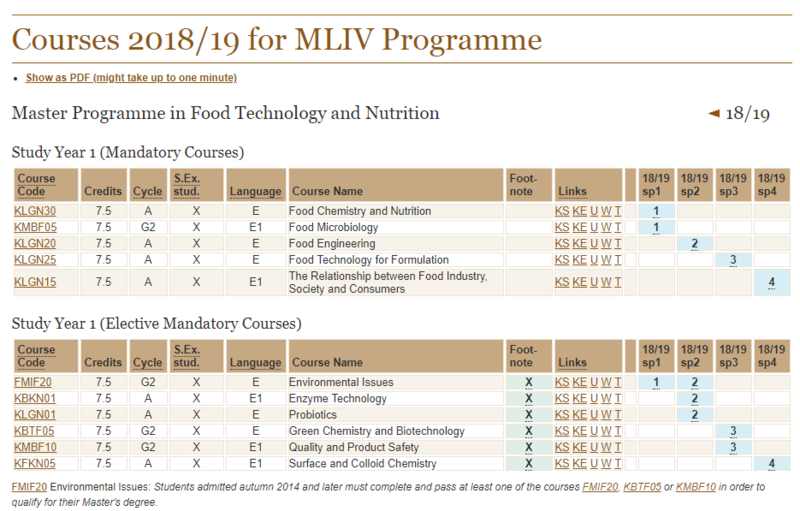 To give a tip for those who do not have a bachelor degree in Food science based and are not confident in a certain subject, you may read the course book in a syllabus before the course starts. (It is not mandatory to do so.) Also, if you have questions regarding a course, contact the course coordinator. They are kind and will try their best to answer your questions. Time Edit is a schedule generator for Lund University students. It is a useful tool to check the schedule of courses and plan free time. With codes or names of courses, you can see all time tables of them. (Please note that schedule of a course in Time Edit can be changed.) Classroom and types of lecture are included in the schedule. What I like to do is exporting the schedule of courses to my phone, which eases to sort out my daily schedule. If you have questions, you can send me an email. 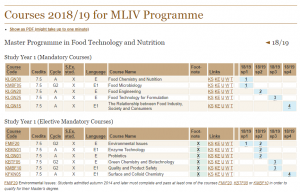 This entry was posted in Ambassadors 2018/19, Student life, Studies and tagged Ambassadors 2018/19, Faculty of Engineering LTH, Lund University, Food Technology and Nutrition, Lund University, Student life, Time Edit. Bookmark the permalink.